Saying “no” isn’t an attempt to slack off. It’s the only way to prioritize and excel in the long run. You’re getting ready to leave work after a long day when your boss stops by your desk or shoots you an email. Because you’re such a valuable team member you’re getting a new responsibility: a project your firm just landed. Unfortunately, your to-do list is already overloaded and you’re working 10-hour days to keep up. Sounds familiar? What you do next will have a major impact on your career. Your gut reaction might be to pick up the phone and tell your significant other you’ll be late for dinner … yet again. It’s normal to think that adding more hours to your day is the way to attack that never-ending to-do list. Maybe you’re even a little flattered; juggling more tasks will improve your performance and make you stand out at work. Wrong! Multitasking does not work, and working longer hours only helps to a certain extent. You should say “no,” and here’s why: A study I did at UC Berkley of 5,000 people found that when you work 30 to 50 hours per week, adding more hours to your job boosts your performance. As you approach the 50 to 65-hour mark, the benefits of those additional hours start to drop, and once you’re logging in 65 hours or more, your overall performance declines. Having too many tasks will put your performance and ultimately your job at risk. Excellent work requires focus, and focus requires few. You must identify the most important activities and get rid of all other extraneous tasks — like that additional project your boss is delivering. People who focus on few things and dedicate all of their effort into doing exceptional work perform better — 25 percentage points higher, according to my data. I call it the “Do Less, Then Obsess” principle. Saying “no” isn’t an attempt to slack off. It’s the only way to prioritize and excel in the long run. If your boss is piling on the work, chances are good that he or she is a Do-More Boss. Take a look at this table, and select the column that best describes your boss. A junior management consultant in our study, James, learned to subtly pushback by shifting the burden of prioritization. He was already working at capacity when a partner at his firm asked him to help with a sales pitch. He told the partner that he would be happy to help, but he couldn’t cover both the sales pitch and the merger project he was working on already. Which should he prioritize? Make it clear that you’re not trying to slack off; you’re prioritizing because you want to dedicate all of your effort to excel in a few key areas. Ask if your boss would like you to reprioritize your work. Put the decision back on his or her shoulders. 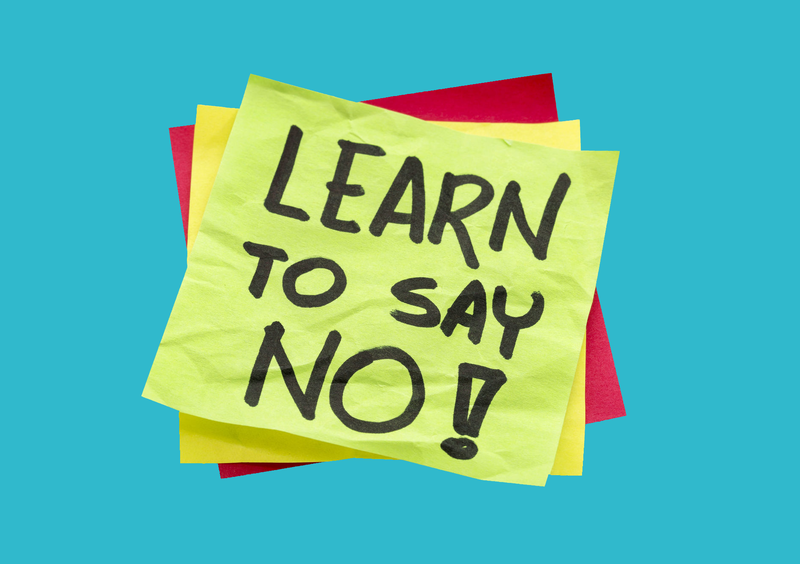 While it takes guts to say “no,” it’s ultimately what your boss should want. You’ll perform better by excelling on the few most important things, and that, in turn, will help him or her perform better, too.